Buying a home is a big decision. It is also one of the biggest investments you will likely ever make in your life. As so, it is important to choose a mortgage loan that will mesh well with your current budget and needs. Of course, you will want to shop around to find a mortgage with a low interest rate. You will also want to check with the lender regarding escrow arrangements, prepayment penalties, closing costs, and similar factors that will impact how much you pay in total towards your new home. A mortgage broker can help you answer these questions. Learn more about what a mortgage broker does and why you should work with one when buying a home. Many people do not know the difference between a mortgage broker and a mortgage lender. While these two job titles have many similarities, there are also some distinct differences. The main difference between the two is that a broker does not actually provide the client with money for a house. Instead, a mortgage broker acts a middleman between the mortgage lender and homebuyer. Mortgage brokers make an income by charging a broker fee and/or an origination fee which are paid when the loan is originated at closing. 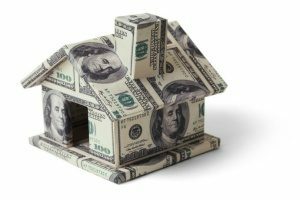 These fees often range between 1 to 2 percent of the loan amount. When working with homeowners, a broker gathers income, employment documentation, proof of assets, credit report, and other essential information needed to assess the borrower’s ability to secure mortgage funding. With this information a mortgage broker is able to suggest an appropriate loan amount and determine the ideal loan type based on the borrower’s personal information. Once a loan is decided upon, the mortgage broker will submit a loan to the lender for approval. If a mortgage broker offers many of the same services as a mortgage lender, you may be wondering why you should not cut out the middleman and go straight to the lender. While there are many reasons why a mortgage broker is the better choice, one of the main reasons is that a broker works on behalf of the homeowner, while a lender has the bank’s best interests in mind. When purchasing a home, you want to work with someone is looking to find you the best deal possible, not someone who is simply trying to make a profit. When you work with a mortgage broker, they will do the rate shopping for you. Just because you want to purchase a home does not mean that you need to accept the first mortgage loan thrown your way. In fact, you can apply for as many mortgage quotes as you would like without impacting your credit. This allows you to get the very best interest rate with the best terms from a lender you trust. Remember that even a small difference in your interest rate can make a significant impact in how much you pay over the life of the loan. Most homebuyers wish to remain in close contact with their mortgage professional throughout the home buying process. Bank employees can be difficult to get ahold of due to the nature of their work. Mortgage brokers, on the other hand, are usually easier to maintain contact with. Remember, mortgage brokers work for you and do not get paid until your loan closes. This means that they will be there for you to answer any questions you may have and to help you reach a successful conclusion on your deal. Working with a mortgage broker could also get you access to a wider range of loan options. Today, some banks only work with mortgage brokers making it necessary to talk with a broker when shopping around for a loan. As mortgage brokers often have closer relationships with lenders, brokers can often get lenders to waive some of their fees, such as their application, appraisal, or origination fees. This means more money in your pocket which you can put towards your new home or stash in savings. Talk with Fairfax mortgage brokers to see what they can do for you. Working with a mortgage broker can also save you time and money. When working with a mortgage broker, you will only need to complete one application instead of completing a separate form for each individual mortgage lender. With the information presented on your application a mortgage broker can provide you with a detailed comparison of loans in which you fit the criteria. This allows you to analyze the cost differences between each loan while comparing the current rates, terms, closing costs, and other factors that can alter your decision. Working with a mortgage broker also means no hidden costs. One of the biggest benefits of working with Fairfax mortgage brokers is that they will do most of the legwork for you. 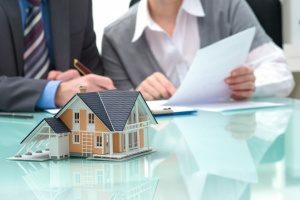 Not only will a mortgage broker help you find the right home loan based on your unique needs and circumstances, they will also take care of the bulk of paperwork including sourcing pre-approval documents and assisting home buyers with applying for government grants and other types of incentives. Mortgage brokers also offer expert advice through years of experience. Your broker should be able to walk you through each step of the loan comparison process and explain anything you do not understand along the way. Before you start the process of applying for a home mortgage, it is important to consider all of your options for finding a loan. While some borrowers prefer to work directly with a bank lender, others familiarize themselves with the benefits of working with a mortgage broker. With so many options for home loans, it is a good idea to weigh your options to determine which is best for your unique circumstances. Want to know more about mortgage brokers and the services they provide? Contact Fairfax mortgage brokers in your area today and start shopping for loans.